Accurately counting down the days is certainly still a myth for a lot of women with irregular menstrual cycles. This keeps them constantly anxious for signs. Getting it right or wrong can mean two things: facing unwanted pregnancy or failing to get pregnant. But these disappointments can now be avoided thanks to ovulation calendar. 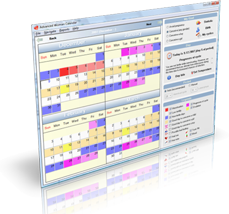 eOvulation is a software produced by SoftOrbits to help women calculate their natural cycles through an ovulation calendar. Boy or girl questions can be put to the test when pregnancies become successful, thanks to accurate timing. Women who also want natural birth control can correctly monitor their cycles to know their safe days. This means that there will be no need for pills, supplements and other artificial birth control methods. Women can practice free rein in their lives the natural way by using eOvulation. 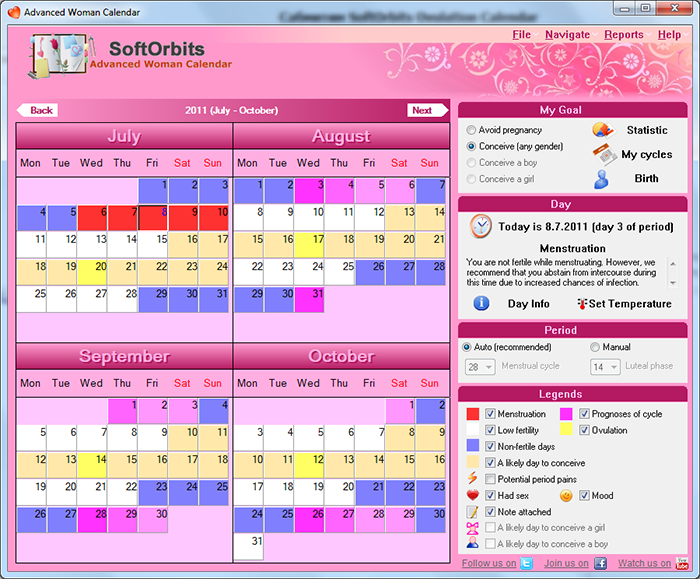 A lot of women have used ovulation calendar to conceive a girl or a boy. Parents who have faced unsuccessful conception will benefit a great deal by using this program. Many parents have relied on the information given by ovulation calendars. The effect has been astounding. Not only were women able to time their cycles accurately, they became expecting and happy mothers of baby girls or boys because of it. Ovulation calendar can help predict if a woman would expect a girl or a boy through the Advaned Woman Calendar. This success is not something that women with irregular cycles can pinpoint for certain. Aside from timing, women can also feel more assured about their sexual life, eliminating worries and anxieties that come with guessing ovulation cycles. Ovulation calendar for a girl or a boy is very critical for parents who have made the decision to advance their relationship to the next step. eOvulation serves to fulfill the needs of couples and, so far, the program has proven its worth.